Change is inevitable, and to survive in the restaurant world, your business must be willing to make adjustments based on the current industry trends and consumer expectations. As we look into the new year, 2019 is expected to bring all sorts of exciting trends and services to the table– literally. Don’t let your competition beat you to the punch, read our top five restaurant industry trends below to strengthen your relationship with your current customers, as well as draw in new ones in 2019. Consumers in 2019 want options; they want to eat how they want, when they want, and wherever they want. Offering various fulfillment options is one of the top restaurant industry trends this year as more and more restaurants are discovering new ways of getting food to their guests. Ordering takeout isn’t new, but the multitude of ways to order it is. Now patrons are looking to order not only by calling your restaurant landline but also from your website directly and through third-party apps such as GrubHub and DoorDash. Not only that, consumers want to choose whether they can get their food delivered or picked up to-go, and to decide if they can pay online or in person. 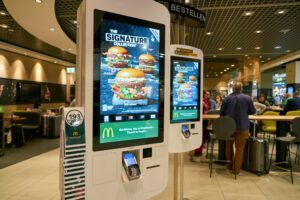 Some restaurants are even implementing self-service kiosks to allow for simplified food ordering directly at their location. Consumers crave convenience, so the more options your restaurant can give them to pick from, the happier they’ll be. 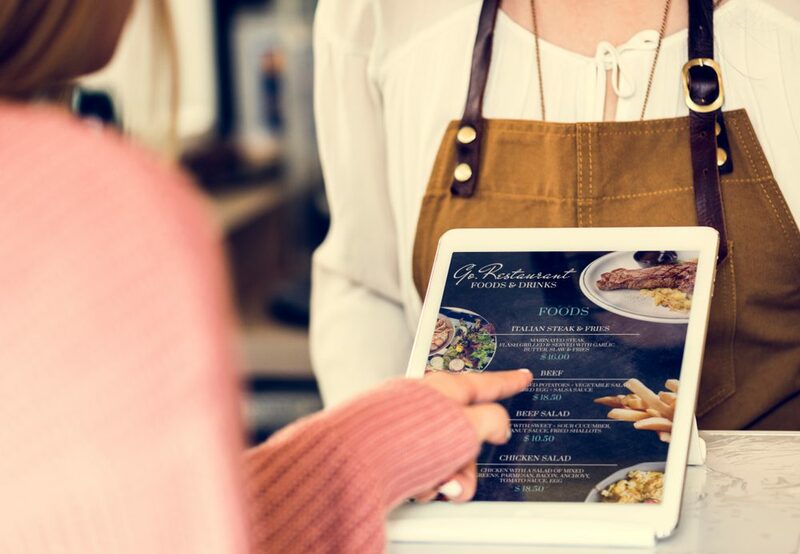 Once only a futuristic fantasy, mobile devices have become a reality for restaurants in 2019. Mobility is a hot restaurant industry trend now that menus, point of sale (POS), and kitchen display systems can be easily transformed onto any mobile device to provide a more innovative customer experience. G2 expects that at least 40% of restaurants will accept mobile payments this year, amplifying the trend of pay at the table technology. Since smartphones and tablets have become an essential part of many consumers’ lives, successful restaurants are leveraging these devices to make the dining experience better, faster, and more efficient for their patrons. When looking for an innovative process that will follow the latest trends as well as increase efficiency, restaurants should turn to food safety automation. This restaurant industry trend is only getting started and expected to grow exponentially in 2019. 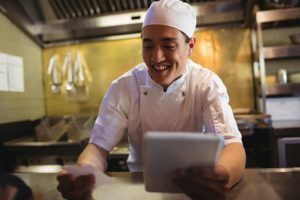 More businesses are realizing the food and labor savings that comes with automation technology that streamlines food procedures, eliminates paper checklists and monitors food digitally– all while lowering costs. Implementing this solution this year can change the way your kitchen handles food safety, keeping your customers safer and your competition beat. To see more green in your financial statements, restaurants need to go green. This restaurant industry trend isn’t going anywhere as we continue into 2019; consumers want to support eco-friendly businesses. Before you get overwhelmed with where to begin, know that even the smallest changes will make a big difference to your guests. For example, many restaurants have eliminated the use of plastic straws and silverware or switched to more energy efficient lighting and equipment. No matter your decision, know that your sustainability efforts will make a big impact on your customers– and increase your sales in return. Long gone are the days where hiding high-calorie numbers and questionable ingredients were the norm- consumers in 2019 are expecting transparency and honesty from their favorite restaurant businesses. 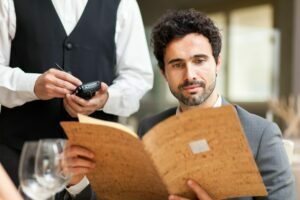 When looking at this year’s biggest restaurant industry trends, it’s clear that restaurants are now allowing information such as food origin, calorie and diet info, and ingredient lists to be easily accessible to their guests. Many restaurants are even displaying this data directly on menus for complete transparency. This straightforward trend is increasingly important as special diets such as gluten-free and veganism continue to grow more popular around the nation. 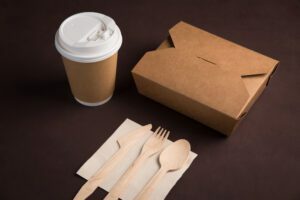 From ditching straws to delivered dining, 2019 is guaranteed to impact the restaurant industry with new and innovative trends and services. For maximum success this year, make sure you’re partnered with companies like Mainstreet who know your industry inside and out. Contact us to learn how our team can provide your restaurant with the technology tools necessary to grow and succeed in 2019 and beyond.